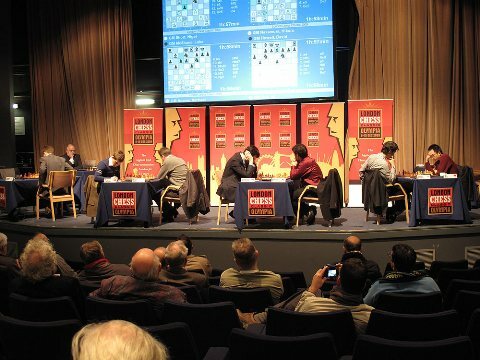 The dates for the London Chess Classic 2011 have been confirmed and the tournament will be held from December 3-12 at the Olympia Conference centre in Kensington. The tournament will change format slightly with the addition of one more player, making the UK’s most prestigious tournament even stronger. Each day, one player will have a day off and will assist the LCC commentary team both at Olympia and in the internet broadcast, making the Classic even more exciting to watch. There will also be five days of junior coaching, a Grandmaster Open, and weekend tournaments for players of all levels. An innovation this year will be a chess festival with lectures, teaching and film screenings. The prize fund has been increased again and will be in excess of €150,000. The lineup will be announced in May.